Back in June PetRescue's 'The Adoptables' campaign tested out the limits of ethical fundraising, by running a donation drive which featured the stories of individual pets, while not actually intending to give any of that money to help those pets. The result was a truckload of money for PetRescue, and a barely measurable outcome for the rescue pets who featured in the campaign. "All the adorable pets you see on the PetRescue website are desexed, vaccinated and vet checked before they’re made available for adoption. Sometimes these are covered by the pet’s adoption fee. But often these costs, together with food and other vet work, can far exceed the adoption fee, leaving rescue groups out of pocket. Your kind gift today will help support grassroots community rescue organisations right across Australia, by creating a valuable, long-term source of funding to help them cover one of the biggest costs involved in rescuing a pet - desexing!" Absolutely fabulous! A donation drive that actually supports the groups who rescue the pets. But then there's the fine print. "Christmas 2017 donations will go to funding the development of the new directed donation system and launch is planned for spring 2018. All remaining funds, after the button is developed and launched, will be invested in PetRescue’s existing free support services and programs. Now, rescue groups do try to cover the cost of desexing in the pet's adoption fee, but it can cost up to $400 to desex a large dog and these costs, together with food and possibly other vet work, can leave rescue groups out of pocket, even with the adoption fee. Today you can help us provide a long-term source of funding to help cover the cost of this essential that every single rescue pet needs. Money for desexing! No? What then? Our solution is the Desex Button. 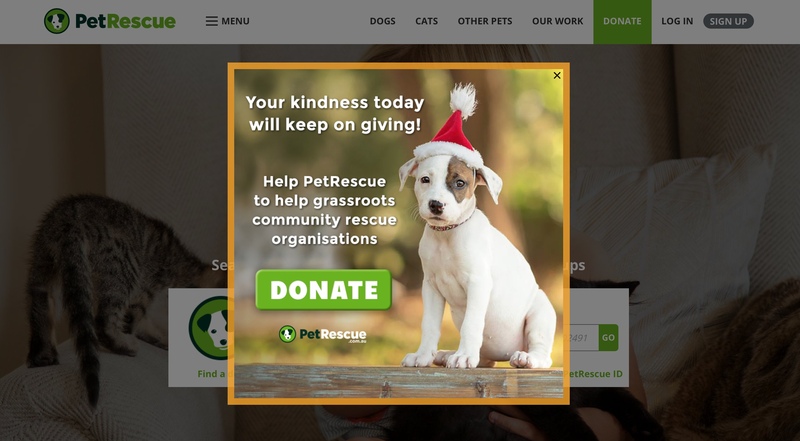 What we mean is a button that sits on every pet profile on PetRescue allowing donations to be made directly to the rescue group to help cover the pet's vet fees. But first, there's a heap of development work to do to make sure we build a secure and effective donation platform and that's where your help today will make a huge difference. Our goal is to raise $50,000 this Christmas so we can deliver hundreds of thousands of desexing dollars direct to rescue every single year. So you need $50,000 to build the facility, so that some time in the future donations can be collected for groups, and those future donations will be used for desexing. If we raise $25,000 I'll wear the Cone of Shame in the office for the entire day. If we raise $50,000, I'll put my own crown jewels in a bath of ice water. And, apparently, if we raise $100,000, I'm getting waxed. So up to $100,000! to build a "build a secure and effective donation platform". But hangon - what are we making these donations on, if not a working and secure platform for receiving donations? 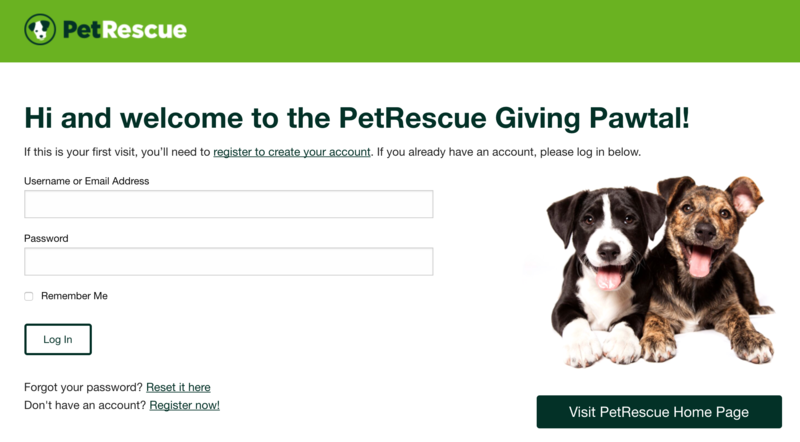 Our new Giving Pawtal also allows you to login and update your card details, view your donations, or change your donation amounts online at any time, without fuss. 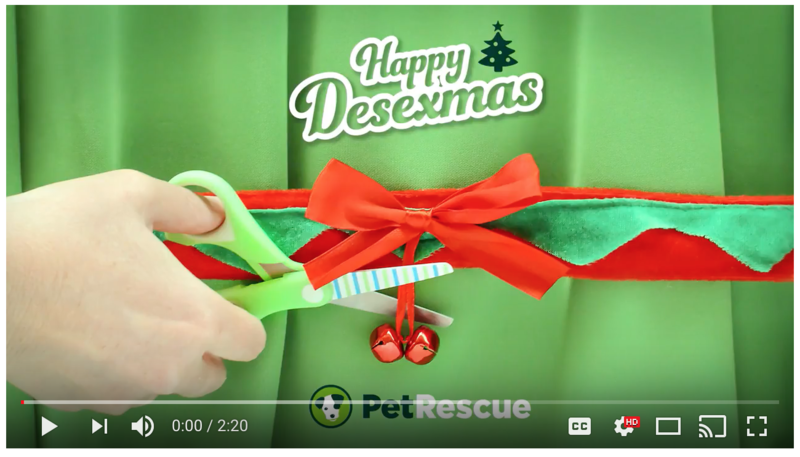 But PetRescue weren't content to simply email out their desexing-campaign; they followed it up with a popup on the PetRescue website which would work to promote the idea that a donation to the website was equal to a donation direct to rescue, to every single visitor to the site. Or tens of thousands of people a day. It's true. Your money given to Pet Rescue as a donation this Christmas DOES NOT GO TO RESCUE. We get a website to list pets on. Like a trading post. And some free late-date food donated by companies to them (they don't pay for it on our behalf) They do not rescue our dogs, they don't pay the vet bills and they do not rehome. This new campaign is aiming at $50k - $100k to make changes to their website. We usually avoid the political or sensational but this affects everyone searching for a pet this Christmas. Tell your friends, if they wish to donate, contact their chosen rescue charity directly. Do not go via this third party.